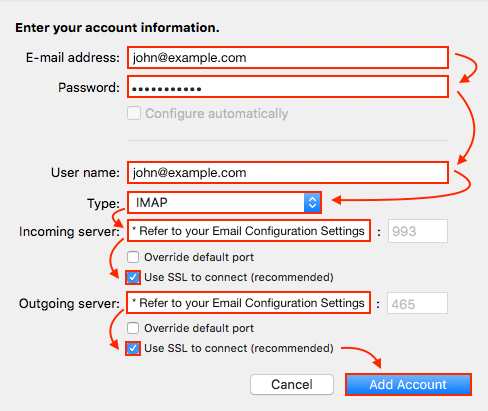 This article shows you how to set up your HostMonster email account in Outlook 2016 for Mac. If you have any trouble configuring Outlook, double check the settings you've entered and make sure your DNS settings are pointed to HostMonster. If your domain isn't registered with HostMonster, you may need to update your name servers or MX records.